Create new memories in Menorca’s pristine environment. There is something for everyone in Menorca. The fresh sea air, the emerald waters, and the wild landscape will be the backdrop to your newest adventures. Kayak around some of the world’s most beautiful beaches and iconic coastline. Cycle around Son Felip’s 2500 acres or explore the island on its many paths. Far from any light pollution, the skies of Menorca and Son Felip are a fantastic star observatory. The beaches of Algaiarens, Es Bot, Cala Pilar and Pla de Mar are all within 5km of Son Felip. With 3 stallions, two of them holding 1st place breed championship and the Menorca Best Breeder prize in 2018, Son Felip breeds thoroughbred Menorcan horses. 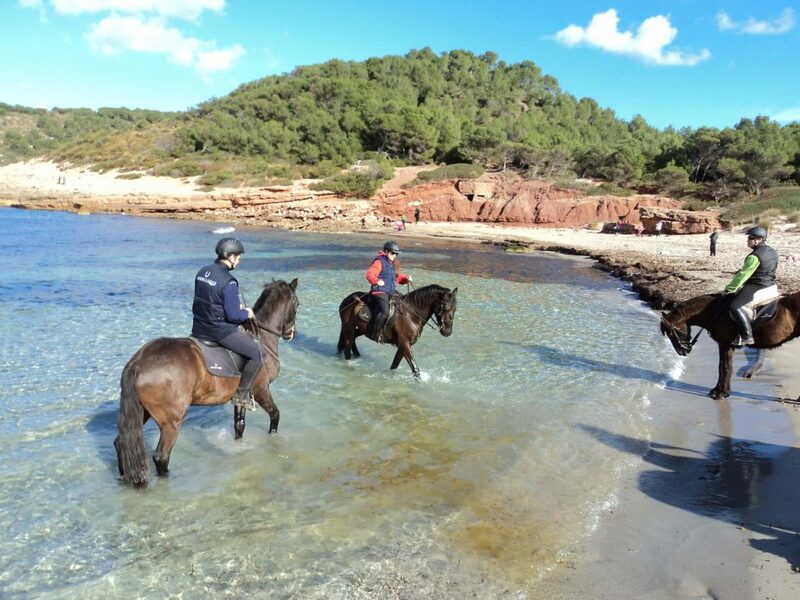 We can organize from beginners’ lessons to full day excursions, or even a several day tour on the Camí de Cavalls path surrounding the island. There are many way-marked walks to discover the beaches, rocks and cliffs of Menorca. El Camí de Cavalls is a marked path that surrounds the whole island and winds its way through Son Felip. You can also have a good hike through the forest to discover Sa Bassa Verda, a small freshwater pond at the top of the hills near Algaiarens, famous amongst the locals. We will be happy to organize any of these activities with our Son Felip team or with some of the best professionals on the island.